To quote a famous song, “What a long strange trip its been”. 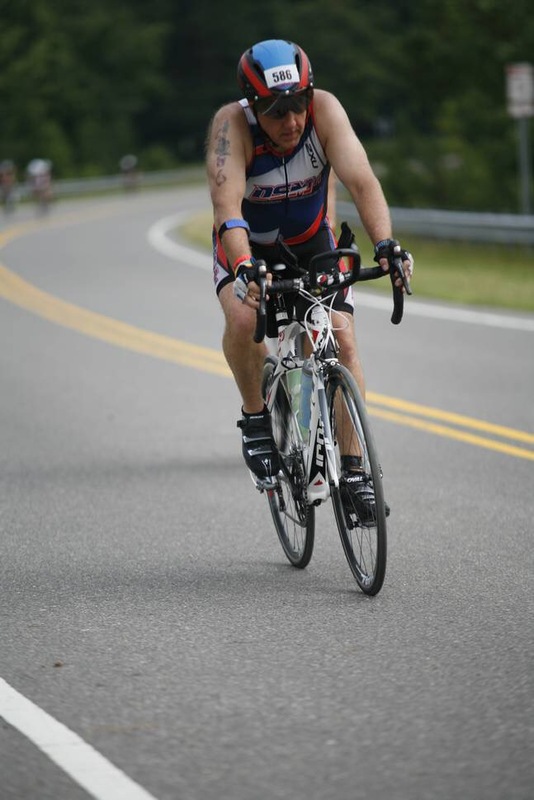 Looking back, I can remember sitting in the bleachers watching my friend complete an Olympic distance triathlon. I remember thinking on how cool it would be to cross that finish line, to be in that exclusive club. Then I remember looking at my belly, knowing I was 40+ pounds overweight, and saying to myself “Who am I kidding? I’ll never do that”. 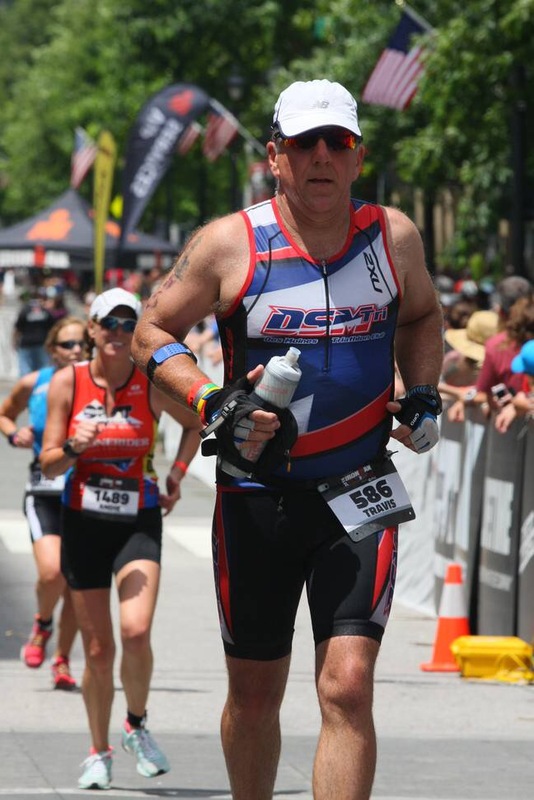 Well, with determination, and an attitude that I would not give up on myself any more, not only did I reach that dream of completing an Olympic distance triathlon, I shattered it by going to Raleigh, North Carolina and completing an Ironman 70.3! Talk about an exclusive club. Thanks to my coach Jenni and the E11even Athletics team, I trained properly and stayed healthy, and finished my race strong and ready to keep going. After the race I had a two week break where I did no running, and only light biking and swimming. Coach Jenni said the first week was to let the body heal, and the second was to take a little mental break before starting training again. But, what to train for? 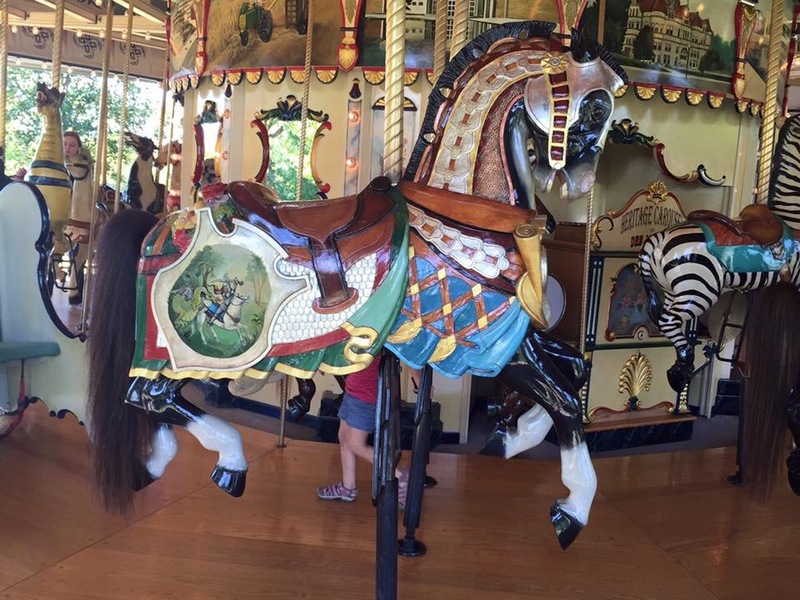 I completed my goal, and while I always have the next goal in mind, this was one goal that I could not decide on my own. It required complete honesty from my coach, my wife, and myself, and after my “mental” break, it would be time to talk. If you noticed that there is no 70.3 at the end of the image, it is not a mistake. Although at times I think about it and think about breathing into a paper bag. The goal is to do a full 140.6 Ironman. I have over a year to build on where I am now, but as Coach Jenni said “Your weekends are now officially over”. 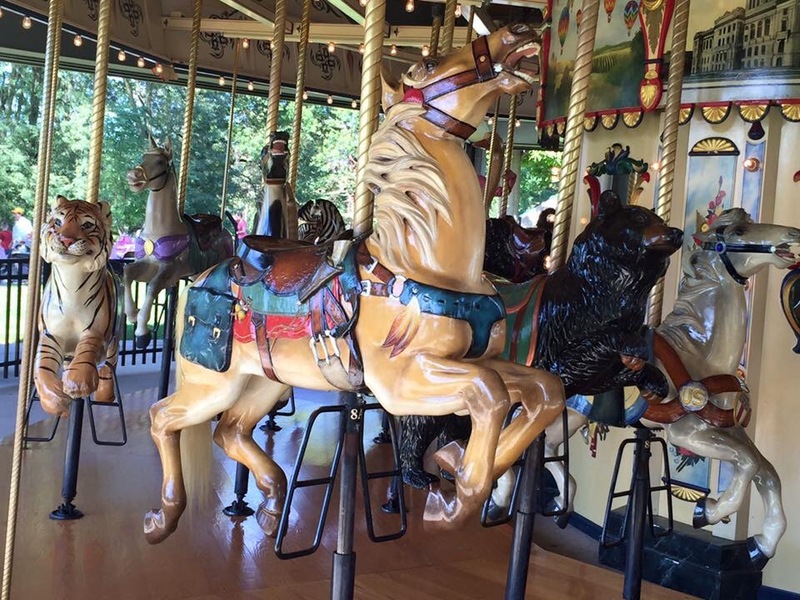 They will be replaced with long bike rides (Jenni said that I will do several century (100 mile) bike rides during my training), more runs off the bike, although the swims won’t change that much. Believe it or not, I’m looking forward to the challenge! I’m looking forward to watching myself improve in ways I never thought possible. I just hope I get in and get registered in time, and that they don’t change the date. 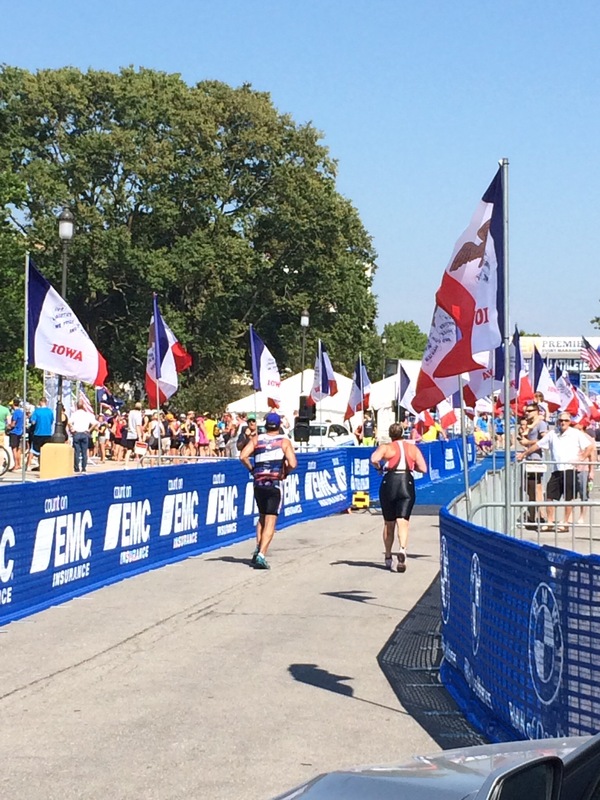 They are still prepping to run the 2016 Maryland Ironman, so the 2017 race is not open yet. That gets me a little nervous, not knowing if you’ll get in until you do, and then freaking out yelling “Oh my God!! What have I done?! ?” But then you come down from the ledge, take a deep breath, and get to work. 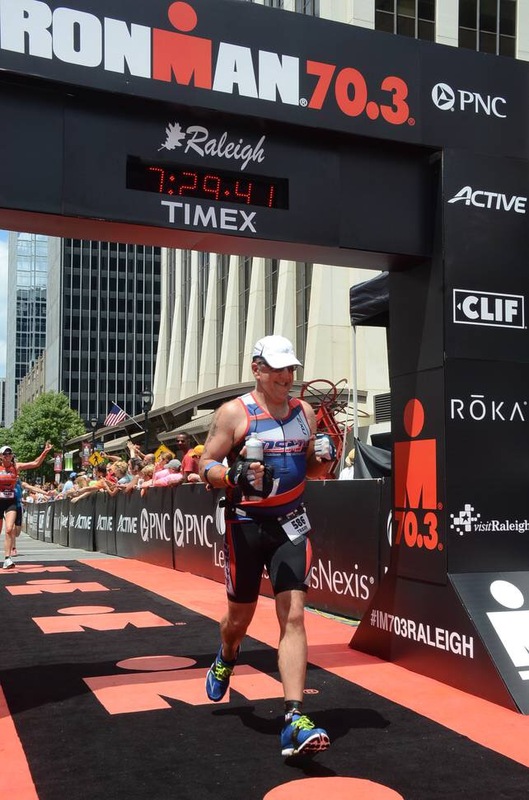 After all, it just another 70.3 miles more than Raleigh, right? Ok, where’s my paper bag to breathe in?? But honestly, I cannot believe looking back, at how far you can come when you don’t give up on yourself. By constantly pushing to improve, you can do amazing things, even train for an Ironman. I started by slowly running a mile, slowly biking about 5 miles, and barely able to swim 25 yards. In less than 7 years, I went from that to training to swim 2.4 miles, biking 112 miles, and running 26.2 miles. What a (not so) long, strange (and wonderful) trip it’s been. And it’s only just beginning…. Before I begin my race recap, I want to send out a heartfelt thank you to my coach, Jennifer (Jenni) Jageman Keil and the awesome team at E11even Athletics. Jennifer said that she would train me, work with me, and help me so that not only would I finish my first attempt at a Ironman 70.3, but that I would finish strong with gas still in the tank. She was not kidding! If anyone needs a coach for running, triathlon, swimming or biking, I strongly advise you to check out Elevenathletics.com. It was the best move I made in this adventure. 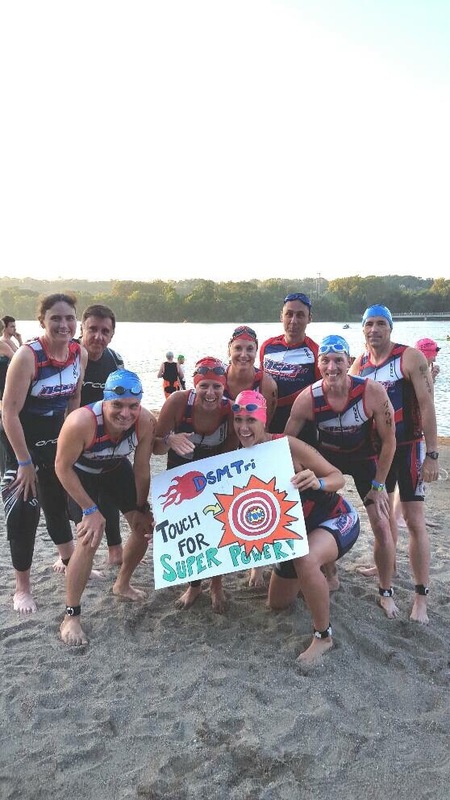 To anyone considering triathlon, join a triathlon club in your area. 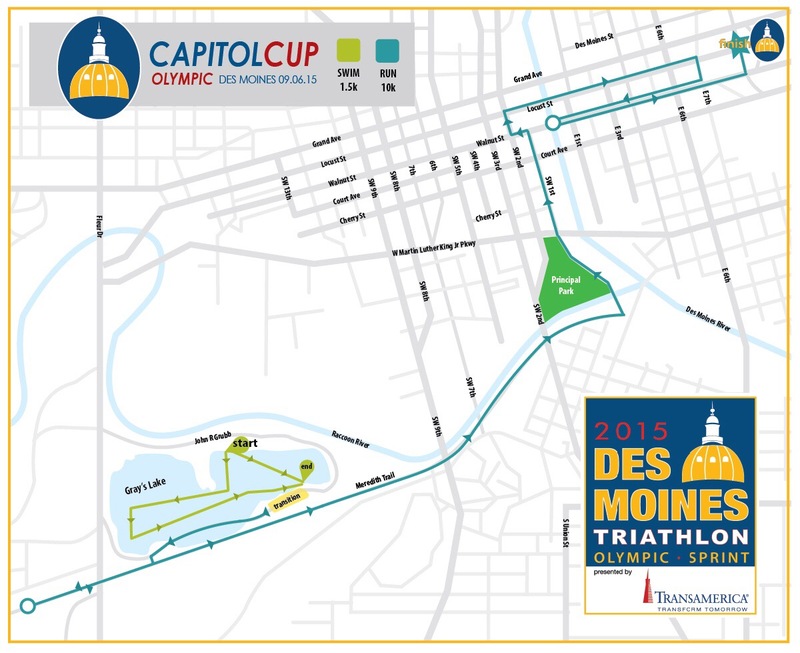 I belong to the Des Moines Triathlon Club, and they have been a Godsend. Between the advice, tips, camaraderie, and group workouts, they will have you up to speed in no time. Also get a sports massage therapist, and go at least once a month. 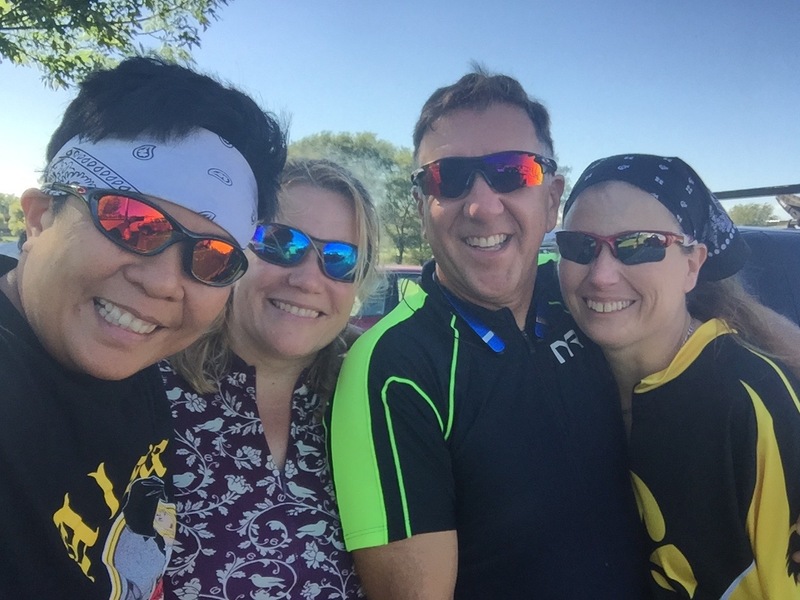 My therapist, Amanda Lundstedt with Active Edge Orthopedic and Sports Massage, is not only a friend but also a fellow triathlete. She asks what I’ve been working on, and knows where I need the most work. Trust me, it feels good too! I also want to thank everyone who cheered us on, helped us out, kayaked for us, or assisted in some way to make this dream a reality. You all know who you are. So onto the race report. 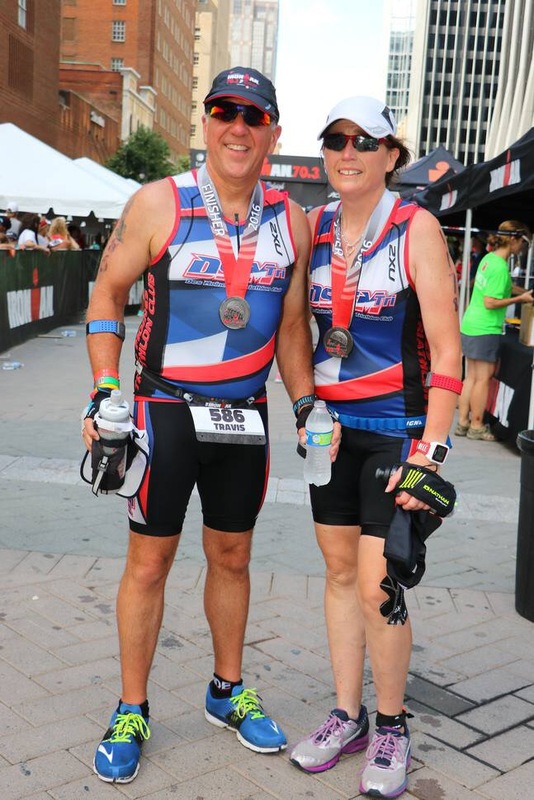 We arrived a week early to Raleigh, so we could get acclimated to the conditions, and to have a vacation (my wife Julie was attempting her first 70.3 as well). We were getting used to the warmer temperatures, both on land and in the water, but started to worry that the race may not be wetsuit legal. On Friday we attended the athletes meeting and our fears were confirmed: the water temperature was 79ºF. We left the meeting, toured the expo, and called our coach Jenni to see what should we do. Do we try it without the wetsuits, or go to the back of the groups and swim with it? We made a decision that if the water temperature did not lower by race morning, we would do our best without them. Jenni warned us that we ran the risk of overheating in the wetsuit with water temperatures that high. Saturday: We went to Jordan lake for a quick 20 minute swim, 20 min bike, and 20 min run. We swam without our wetsuits and it felt pretty comfortable. However, the lake was calm and still, nothing like it was about to become. We finished our workout, dropped off our bikes in T-1, along with our biking gear, and proceeded 56 miles into downtown Raleigh to T-2 to drop off our running gear. The bike was a 56 mile one-way ride, thereby needing the two transition areas. We decided to leave everything (bike gear or running gear) in their individual bags, because a storm was going to move through the area bringing a lot of rain. We made sure that the bag openings were turned down, so they wouldn’t catch the rain. We hoped that maybe the rain would cool things off, including the water temperature at the lake. That night, the storm rolled through, dumping a large amount of rain. We knew that the officials would make the announcement at 5:00 am Sunday, so we bagged our wetsuits to take with us just in case. Now to try and get a little rest before heading to T-1 at 3:30 am Sunday morning. Sunday: It’s race day! We ate a light breakfast, grabbed our carry bags (stuff for before the race and wetsuits), and headed to downtown to set up T-2 and get on the bus for the trip to Jordan Lake. Even with all the rain, everything in T-2 was dry. We set up our stuff and then got on the bus for the ride to the lake. When we arrived at the lake, we found a very different situation: our bags were moved slightly, and the openings were left upward, so they were full of water. My transition towel, socks, shoes, even my bike gloves were soaked. I tried wringing them out, but they had adsorbed too much water. They would never dry in time. I decided to try my best getting dry and getting my socks on so I wouldn’t blister during the ride. I wasn’t so sure that I wouldn’t blister because of the wet socks. At 5am the official announcement came: the water temperature was 81º! It actually rose two degrees even with all the rain! That made the decision about the wetsuits an easy one: we were not going to wear them. 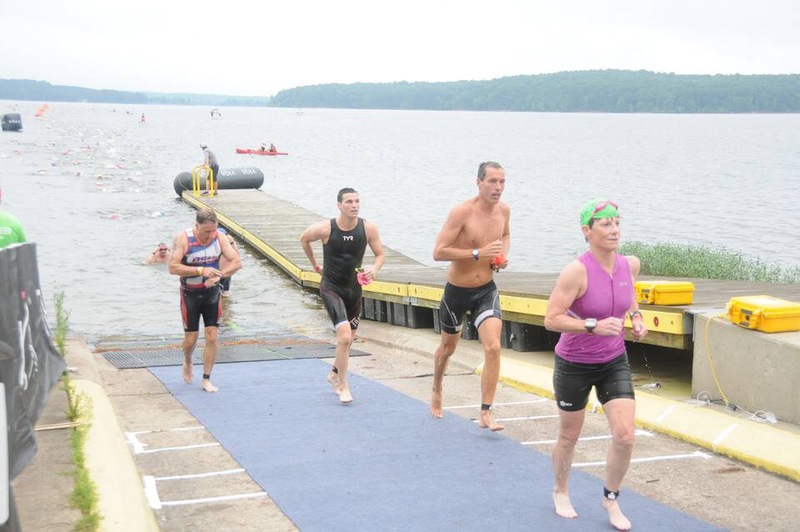 The Swim: For some reason, Raleigh Ironman 70.3 lines up the swim groups by age: oldest first. That meant I was in wave 4: first two pro waves, one 55 and older wave, and then mine. Being nervous not having my wetsuit was hard enough, now I had the worry of all those 20 somethings swimming over me. The lake, which was calm on Saturday, was now choppy and rough. I tried to remain calm as we entered the water. Suddenly the horn went off, and we were swimming! It was a free-for-all. People banging into one another, swimming over top of one another, no concern for others at all. I tried to pace myself and stay out of the way, but seemed to get drawn right into the mix. We had not reached the first buoy when someone’s hand went up, signaling for help. All I could do was get out of the kayaks way and keep moving forward. I made it around the first turn, and noticed that I had a little room to myself. I knew it wouldn’t last long, so I enjoyed it. The water was going in swells now, so I timed my breathing to be at the low point of the wave. I would try to sight the buoys on the crest of the swell. 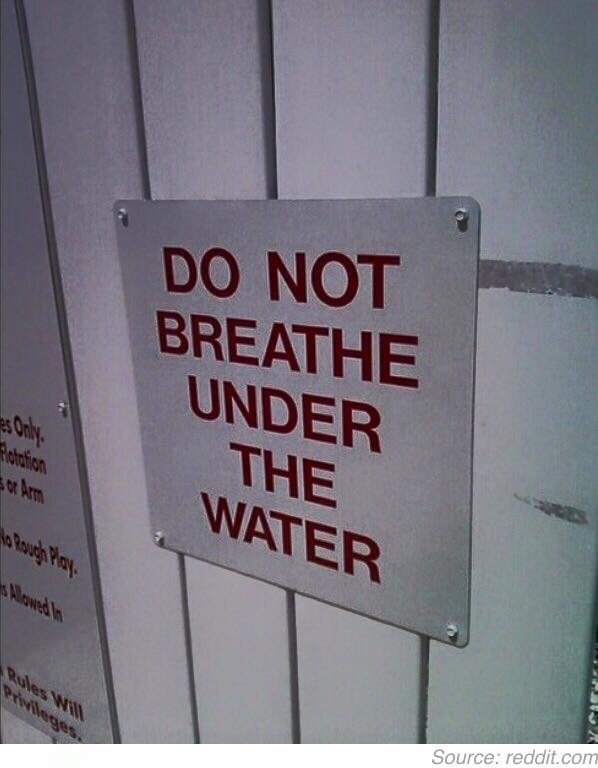 This worked until I was in another pack of swimmers, then I just did the best I could. The Bike: I got to T-1, tried to dry my feet off, and finally got my very wet socks and bike shoes on. I ate a HoneyStinger gel and drank a little before applying sunscreen and donning my helmet and wet gloves and heading out of transition. I mounted my bike at the designated spot and took off. The roads were amazingly dry already, so there were no concerns about it being slippery. The course was not too bad, lots of rollers with a couple challenging hills. But with every hill there was the opportunity to fly downhill, which I seized. 32 or 33 mph was easy for me to hit on this course, and would help boost you up the next hill. I followed my coaches game plan to eat or drank every 15 minutes, trying to intake 250 – 300 calories an hour. I was pretty close to that per hour, and could almost tell without looking at the time when I was due to eat or drink. 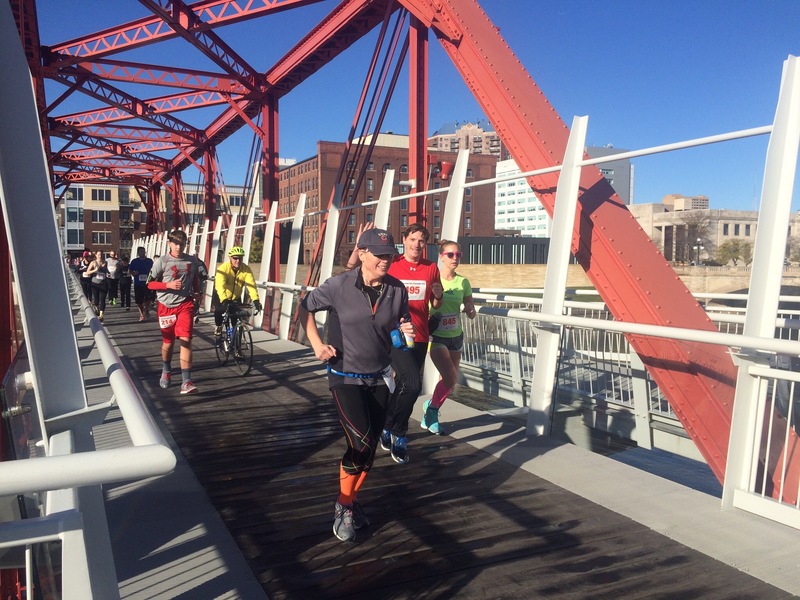 Before I knew it, I was in downtown Raleigh racking my bike and lacing up my running shoes. My pretty bike ride had come to an end: 3:12:28. Average 17.4 mph for 56 miles! The Run: The temperatures and humidity started to rise as we were on the bikes, but it wasn’t noticeable until we got off the bikes and started the run. It was now up to my two feet to finish this. I started out, and noticed that downtown Raleigh doesn’t have a lot of shade. This course was deceiving, as it was a two loop run that showed going up and then down twice in stair step fashion. It was anything but that. It was a steady up, with rolling streets that made it feel like you were going up/down, not stair step. Even the “downhill” had up and downs to it! By mile three, I noticed a lot of people walk/running, and after a few miles I saw that logic in that. Walk up the hills, run down the hills. Stop at every water station, drink Gatorade, get ice for your core, front of shirt, back of shirt, and under your hat, and move to the next water station. After the first loop, you turned down a long street. In the distance you could see it! The finish line was there! But, as if they were playing a cruel joke on you, there was also a sign that redirected people finishing their first lap around so they could start their second. It felt like they were saying “You can see it, but you just can’t get to it!” So around the corner I went for my second lap in the heat. On the second lap, I saw runners dropping out. The paramedic carts were flying back and forth, carrying people to the medical tents. I felt bad that those people made it so far, only to fall out on the last portion. I continued my method of stopping at every water station, walking up the hills and running down them until I got to mile twelve. I decided that I would build up my strength for .1 miles, then run the last mile in. The Last Mile: When I turned the corner, there were people sitting at patio bars, drinking beer and cheering runners on. They would see your name and cheer you on as well, and it felt good to hear it, even though you knew they were only goofing off. Then came the sign, the one that told runners on their first lap to turn. It also told runners on their second lap to move to the right. That’s when you noticed the chute you were to run in, and the hundreds upon hundreds of people standing in the heat along the fence line cheering on the runners. These people were not merely goofing off: they were there with a purpose in mind; to get you to the finish line. As I made my move over to the right, a large roar went up in the crowd. “Here comes one!” I heard, and I almost started crying! Then I told myself to get it together, you have to get to the finish. The people in the crowd, none of them which I knew, were calling out my name, telling me how awesome I was, and that I could do it! “Only a few more feet to go!” “You are amazing!” “You’ve done it!” were just some of the encouragement the crowds shouted to me. It became deafening, and I smiled as I ran past, but tried to focus on that black square finish area, and that red and black carpet with the red “M-Dot” symbols I had longed to be able to run across. I hit the carpet, I heard the announcer call my name and where I was from. “Travis Kneale from Des Moines, Iowa” and I threw out my arms as if being welcomed by family. Actually it is a family of sorts, and a very exclusive club as well. Suddenly I was across the finish line, I was done. I received my medal and finishers cap, took a photo, and got some water and stretched while I waited for my wife to cross. I watched the volunteers catch people as they fell, or walk them immediatly to the medical tent, and I couldn’t help but thank Jenni because I felt like I could have kept going. I felt good, tired yes, but good. I finished the Raleigh Ironman 70.3 in 7:09:06. Not exactly the time I wanted, but with the heat and humidity, I will gladly take it. I didn’t get any blisters from the ride or the run, even with wet socks! My wife Julie crossed the line in 8:03:25. That’s it! Eight months of blood, sweat, and tears came to a conclusion in 7:09:06. Hard to believe it’s over, that we did it. Now, we have a recovery period and then a sprint triathlon at the end of the month. Hopefully it will seem like a short workout! Then it’s time to discuss with my coach what lies next. I trust her wholeheartedly, and know that whatever we decide to tackle next, she will make sure I not only finish, but finish strong. Merry Christmas! It has been rather warm in the Midwest this winter, however we received the gift of a white Christmas with a dusting of snow. I got to enjoy the beauty of it without having to shovel it…yet another gift. I actually took Christmas Day off from training, since I have not had a true rest day for several weeks. But, the time is getting short for training, so every day counts. More on that in a bit. I Received another gift that was unexpected; I was sponsored by Honey Stinger! You will now see the Honey Stinger banner on my blog pages, as I feel that it’s the least I could do for then since they accepted me into their group. I am also the in-store ambassador for Altra shoes at Fleet Feet Sports in Des Moines, so their logo will also appear on my blog pages. Please check out both of these fine companies. Altra makes awesome Zero-Drop running shoes with a very comfortable and wide toe box. Honey Stingers make some of the best fuel replacement chews, gels, waffles, and protein bars on the market. I have relied on Honey Stingers for both of my marathons and my triathlons, and I love the fact that they are also organic. So when you see #HShive and #HoneyStinger, you’ll know that I’m including them in on my updates. 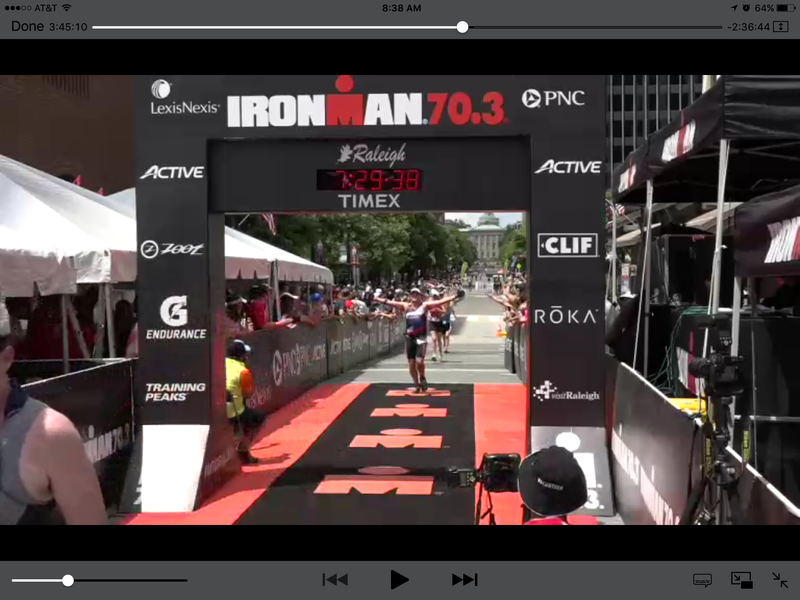 So now on to the need to keep training and not miss a workout…I have 22 weeks until my first 70.3 Ironman. I can’t believe I actually signed up! I was scared half to death, hitting the ‘commit’ button. But I talked to my coach, Jenni (who is awesome, by the way) and she said I would be ready and actually gave me four options to look at. So my wife and I chose Raleigh, North Carolina on June 5. While that sounds a long way away, it is only 22 weeks. We have to get bike carriers, airline tickets, hotel rooms, and prep for the trip. Plus keep up and ramp up the training! I am really nervous, but really excited about competing and completing my first half-Ironman. It is amazing what the last five years have brought on, and how wonderful a healthy lifestyle has enriched my life. To top it off, I was offered the chance to lead a group that will be training for a half-marathon. It will be at Fleet Feet Sports in Des Moines, and we will be getting people ready to run the Hy Vee Road Races half marathon at the Drake Relays. This should be a great opportunity to pass along my love for the sport, and will hopefully help me ramp up my running training for Raleigh. If you ever think about training for an event such as a 70.3, please consider getting a coach to help you along the way. I am so glad I did! Coach Jenni structures my workouts, so I am sure I am working on everything I need to (even core, which I will not do on my own). She is always a text or phone call away, and is watching even when I don’t think she is. One night after a rough workout on the bike, I posted on Facebook that I had a long and frustrating workout. I didn’t even leave the gym yet when Coach Jenni texted me, wanting to know what happened. She reassured me that I will be ok, and that we all have good and not so good workouts. It was nice to know that she was right there to support me when I needed it. You cannot get that on your own, so please consider hiring a coach. It’s time to relax for just a bit and enjoy the Christmas holiday. Tomorrow will be here before I know it, and with it comes a lot of training. I hope your Christmas, and your upcoming year, is filled with joy and happiness, and good health. I was on Facebook the other day, when I noticed my friend Meg sent me a link. Meg and I belong to the Des Mooines Tri club, and she is one heck of an athlete. 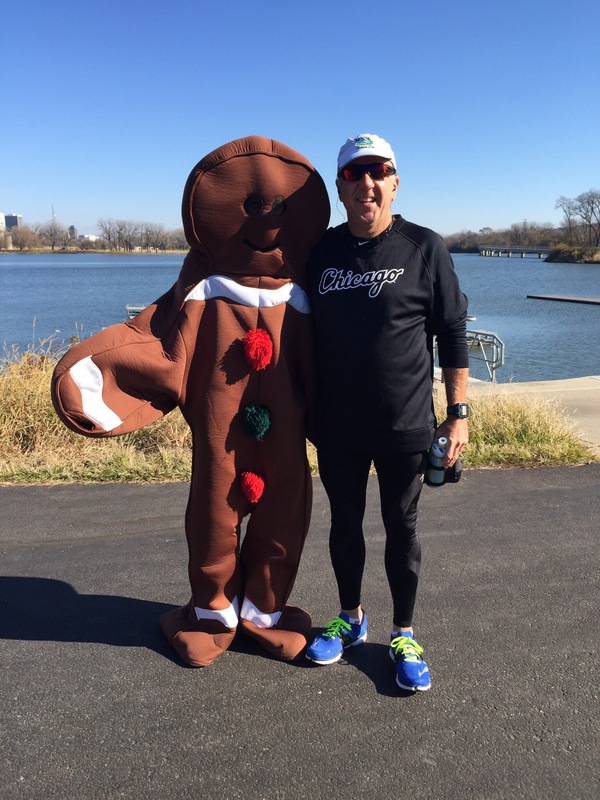 I clicked on the link, and it was an invitation to compete in the second annual Turkey Tri45. This is a fun event where athletes of all skill levels get together to burn off a few extra calories that we may have amassed duing Thanksgiving. I immediately signed up, and told Meg thank you for thinking of me. The rules were simple enough: it’s a fun event where you keep track of your own mileage, and it works on the honor system. We swim in an indoor pool (it is Iowa after all) for 45 minutes, then you have 15 minutes to get ready to meet in the spin room. We start together for 45 minutes of spinning, and then change and either run on the track for 45 minutes, or if it’s nice outside (it was cold, but dry) we run 5.5 miles outdoors. So it’s somewhere between a sprint and an Olympic distance triathlon. I have to give a shout out to Troy Thompson for creating this event, and for getting everything organized. It was a fun time, and I got a chance to meet a lot of great people; from ultramarathoners and Ironmen, to people who were scared of swimming! After the event, about a dozen of us went out to breakfast and shared our stories. I cannot wait to do this again, and when I spoke to Troy, it sounds like the event is growing. The first year there was approximately 10-12 people. This year there were over 30! And this is invitation only! Troy said to go ahead and invite people, as they will figure out how to deal with more competitors. I was able to get a few prizes as giveaways, as it was mentioned on the tri’s Facebook page, and other people got items to give as well. We even got gift bags with goodies inside! And this was a free event! It was amazing to see everyone working together to make this a successful and fun event. You have to hear the National Anthem. What an incredible voice! 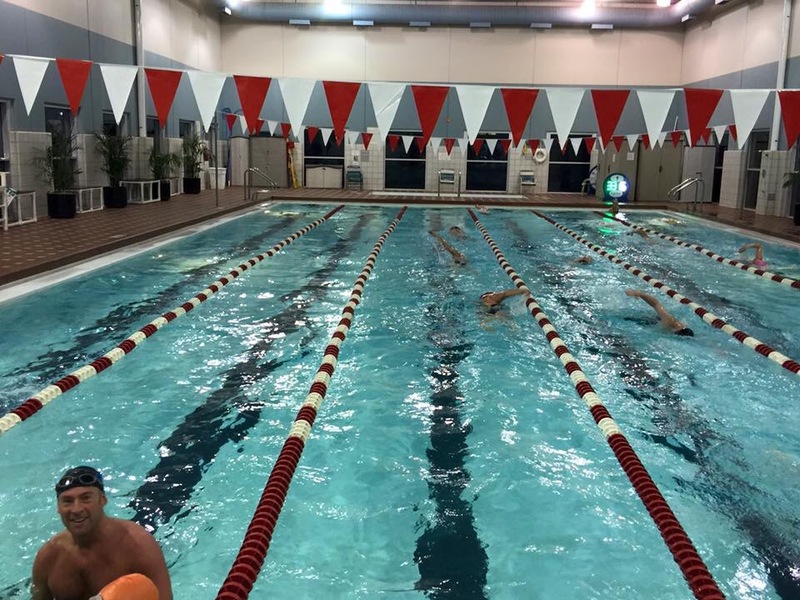 Here is the recap: We chose a swim lane to start (I chose the slower lane) and we had 45 minutes to swim as much as we could. We had 5 in our lane, and while you would think that 5 people circle swimming would be a recipe for disaster, it was not. No one overran the other, and people would wait at the end and let you pass if they were slower. I ended up with 1725 yards in 45 minutes, which I was quite happy with. Then it was off to dry off and change for the spin class. 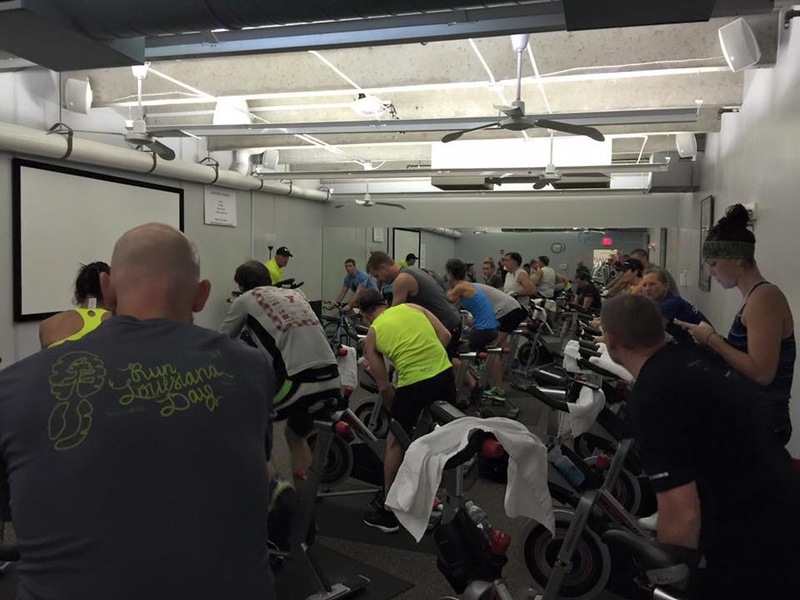 The spin classroom was full! And by that I mean every spin bike, and one bike on a trainer was in use. It was an incredible sight! Troy played Pandora radio while we passed a video camera around. There was even a contest for a $25 gift card to see who could get the highest RPM in one minute. I thought I did well with 180 RPM, but the winner was the one who hit 216 RPM! Amazing!! I ended up with 15 miles in 45 minutes, and was averaging 20 mph. I was very happy with that! Then we changed again and met outside for our run. All paces were welcome, and it was a nice route with a few challenging hills. I ran with my friend Maria, and my new friend Debbie, and we chatted throughout the 5.8 mile cold run. 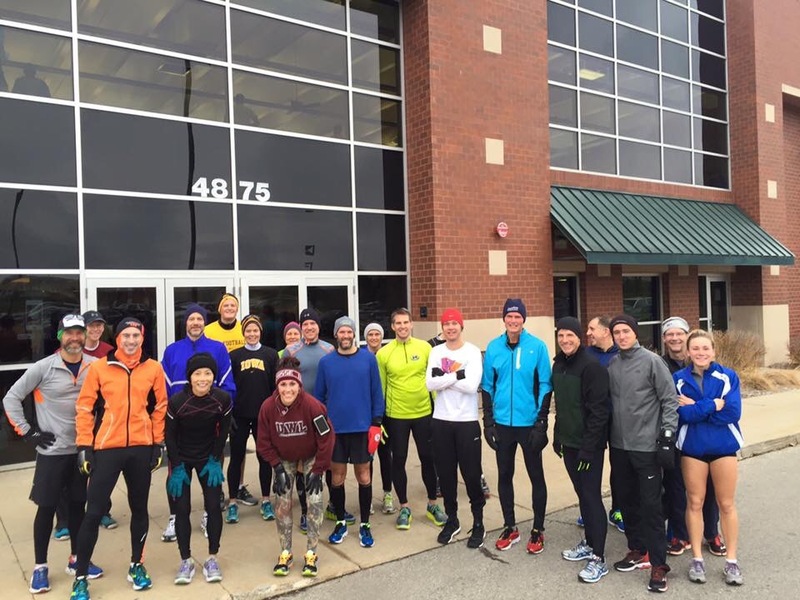 I mentor new runners with Maria at Fleet Feet Sports Des Moines, and it was nice to run along side her once again. Before we knew it, we were back at Prarrie Life Fitness, where we started. We had a finishing time of 1:07:55. We went inside to get warm, and prizes were given out. I think everyone went home with something, which was great to see. Then we loaded all our gear and headed out to breakfast. Trust me, after all that exercise, I was hungry. One of the group was kind enough to pick up the entire breakfast tab! What an amazing day, with a great group of people supporting one another and doing what we love…triathlon! I cannot wait for this event to come around next year! It was a wonderful day all around. It is absolutely amazing what you can accomplish in one year. 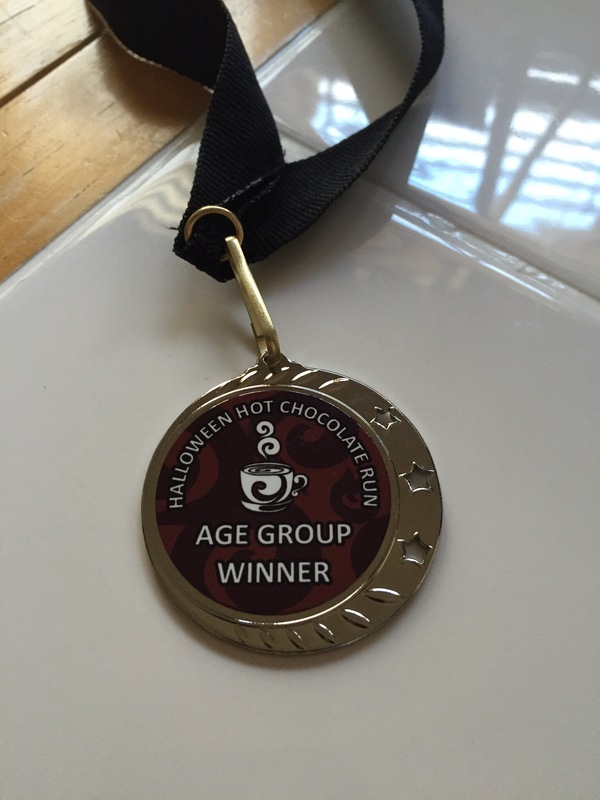 A year ago, my wife completed her very first 5k at the Hot Chocolate 5k. I remember her saying towards the end of that race how she just wanted it to be over. Well, we lined up again for the Hot Chocolate 5k one year later, and she has accomplished an amazing amount that anyone would be proud of. In one year she ran a 5k, a 10k, a 10 mile run, a half marathon, a couple sprint triathlons, and an Olympic distance triathlon! So it was a coming home of sorts, as we toed the line for the start of the race. The race went well, even though we accidently started off with the 5-mile group. 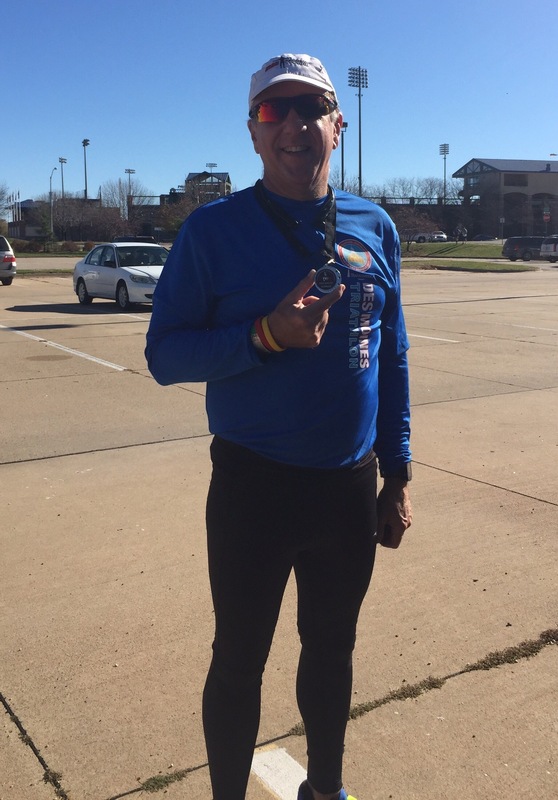 The race was relatively flat and fast, and I was able to finish in 25:39. Julie finished only a couple minutes behind me, and we met up and went to get our printout of the times. Julie came in 5th in her age group! This from a person who wanted to only finish just a year ago. I looked at my slip, and asked if it was correct… I finished 2nd in my age group! That was quite a surprise. Here are a few photos of the event. The other day I needed to run for 1:15 and to control my heart rate and keep it under my maximum aerobic level. So I went to Gray’s Lake, where the path is nice with a 2-mile loop. I have ran many miles around that lake and made many memories there. I even posted that on my Facebook page, saying I was about to make some more memories, before starting my run. I was surprised how right I was. As I started out, there was an event where walkers were looping the lake. As I got closer, there was the gingerbread man waving at the walkers. It’s not every day that you see this, so I stopped and asked for a photo. More happy memories made while running around Gray’s Lake. The other day my coach had swim drills on my schedule. The calendar said 1700 yards of speed work. I printed out my workout and headed for the pool. I was about halfway through the workout when I looked at the distance on my Garmin 920XT. Something wasn’t right: I was at 1000 yards already! I counted the drills that I had completed, and it totaled 1000 yards. So, I continued the drills, and I finished with 2200 yards. I totaled up the entire workout, and it was 2200 yards. So somehow the calendar was askew with the schedule, or it’s the new math. Either way, I got a great swim in. The training continues. It’s amazing what the body can do. I was frustrated the other day because I didn’t hit the marks on the bike that I was supposed to. Then I started looking at the workouts for the past month, and that turned my mood around. I run, I bike, I swim, and at times I do all three in the same day. How can you be frustrated with that? Today I swam over a mile, dried off and changed clothes, and got on a spin bike for over an hour. I am blessed and amazed at what I have been able to do in five years. You can do it too. It just takes a goal, determination, a plan, and the desire to pursure that goal. It’s been an amazing year! After completing my first open water triathlon and my first olympic distance triathlon, I can only dream of what the next year holds. I still have a half marathon to run (I dropped down to the half so I can run with my wife while she runs in her first half), and several 5k’s left before the year ends. But it’s time to start getting ready for next year, to improve on triathlon times and distances, and to be fully prepared for whatever challenges happen to pop up. So the other day, my friend Chris Matthews (she has a wonderful triathlon blog at http://watchchristri.blogspot.com) mentioned that her coach at Team Amazing Day had some openings, I immediatly started peppering her with questions. Since Coach Jenni Keil is in the mountain time zone, and Chris is in Florida, how does it work? Chris was very patient and answered all of my questions so I wouldn’t feel so dumb when I actually called Jenni. After discussing with Julie our goals for the upcoming year, we agreed that we could use a professional that will structure our workouts around us and our schedules. So, very nervous and excited about moving up to the next level, we made the call. Coach Jenni was patient and kind, listening to our concerns and explaining how coaching online works. There will be phone calls, texts, emails, and workouts delivered via Training Peaks. She explained the MAF (maximum aerobic function) method of working out as to not over stress the body, while staying in the maximun aerobic workout zone. She asked about how many hours we could commit to our goals, what we expected, what worries or stresses we were feeling (not only in exercising, but in life in general). She even said she could work our mentoring runners into the workout schedule. We asked for a little time to discuss it, and I called her back and asked if we could call her “coach”. And with that, we got to work. This past week has been about Coach Jenni getting a feeling for what we can do, and setting baselines for our workouts. We had a large questionnaire to fill out that showed our abilities (distances completed, medications, health issues, etc.). It has also been a week of me getting used to MAF running. I found out that I have not been running at an aerobic level, but at an anerobic level. I have to learn to run and not allow my heart rate to go over 130 bpm. The first run using this method left me frustrated, and I immediately texted Coach Jenni and asked her what happened. I could not get my heart rate under 130, and even had to walk for a bit! Finally after a mile I was able to run steadily. Coach Jenni told me that since my heart rate would not come down quickly, it showed that I had not properly warmed up before starting the actual run. She suggested that I run a couple laps first, walk and let the heart rate come down, and then start my run. It worked! The next day I sub 30’d a 5k and a heart rate of 130. 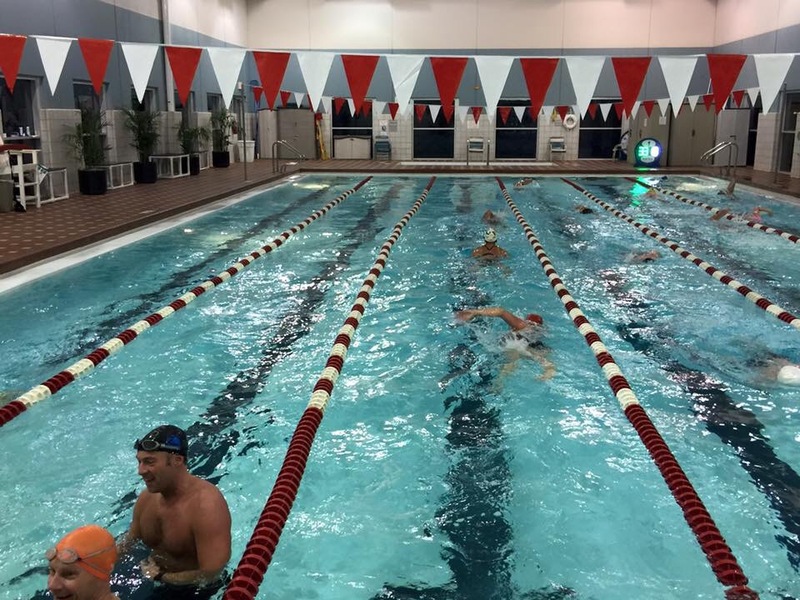 It also marked our return to the indoor pool, and to swim drills. Coach Jenni gave me a workout totaling 1800 yards and had a 400 yard time trial and a 200 yard time trial tucked within it! The next day was 1800 yards again, but it was drills only. It felt good to get back in the water again, and it seemed as if the drills are helping, at least to boost my confidence in the water. I can’t wait to see what the next week brings! I really think we made the right choice in hiring Jenni as our coach, and by knowing that it was time to get assistance to reach the next level. 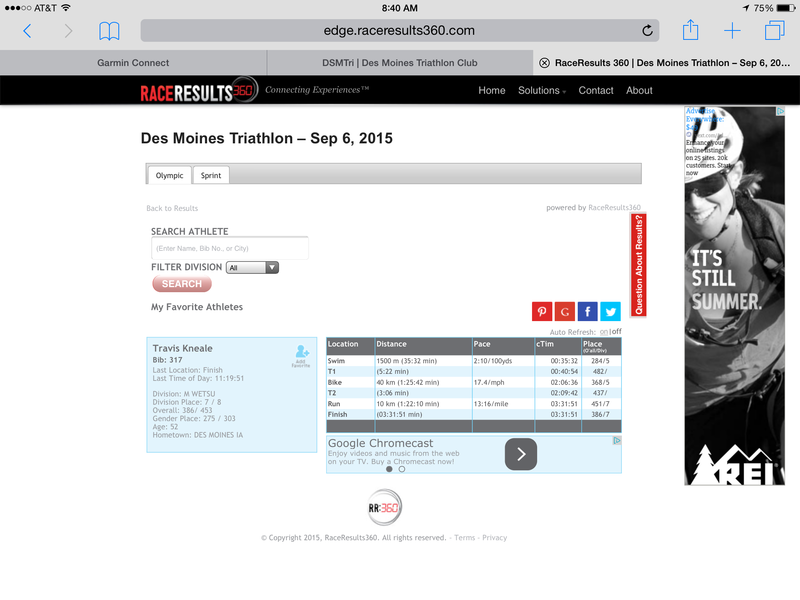 I haven’t posted since I completed the Des Moines Triathlon, and I guess the reason why is that there hasn’t been much going on. Just training, training, and more training. Here’s a quick update of what has happened, what’s to come, and what the future holds. 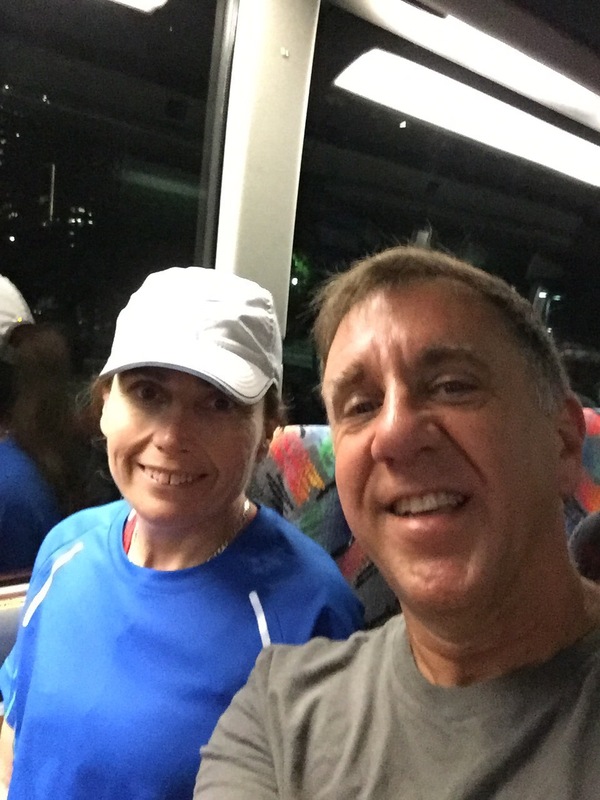 My wife and I completed the Capital Striders Running Group’s “Capital Pursuit” 10 mile road race. It is my wife’s longest run to date, and I was proud to run beside her all the way from beginning to end! We completed the race in 1:46:53, which is an awesome time for a ten-mile run. 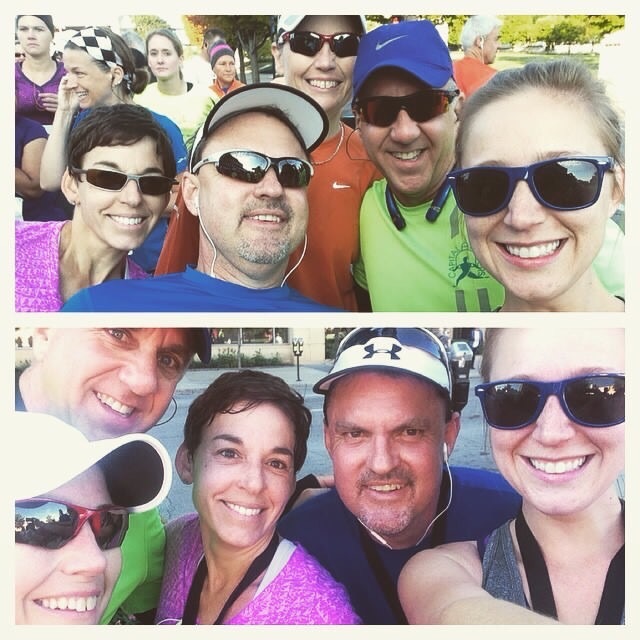 Here is a before and after picture of the Fleet Feet Sports Des Moines gang at the Capital Pursuit. Looking at the top photo, there’s Heidi, Tom, Julie, Me, and Claire. 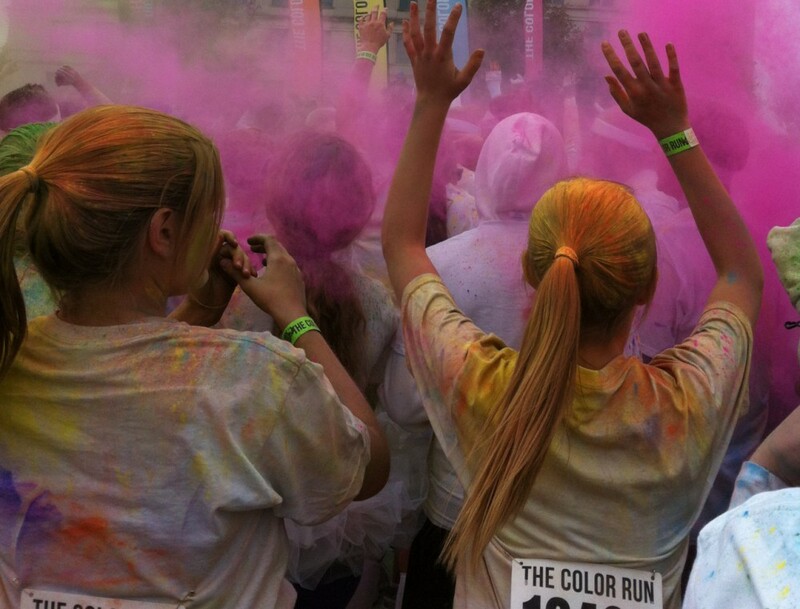 We had a great time, and we plan on doing it again next year. So, what to do after a 10-mile run? Why, go on a 15 mile bike ride of course! Our friends Karen and Mel met up with us, and we rode to lunch and then back. It was a great day of working out and being with friends! 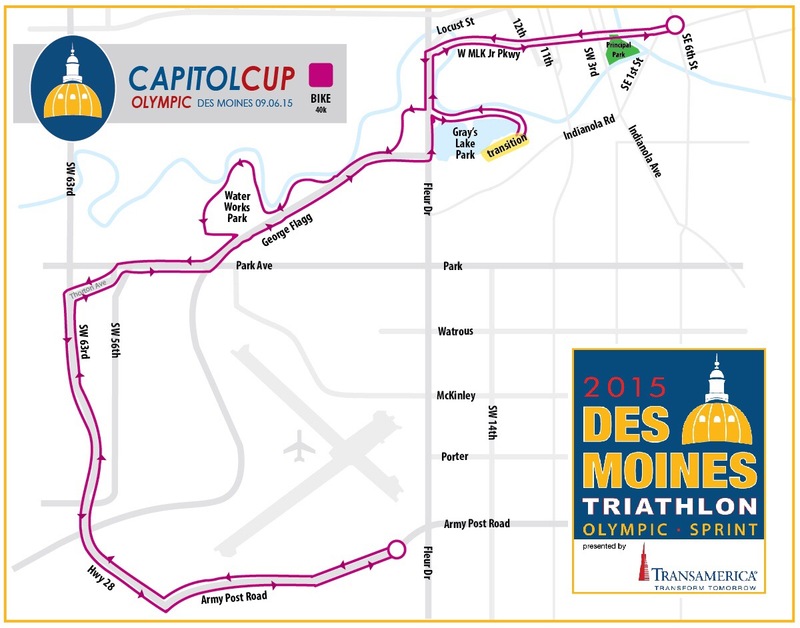 I have decided to drop out of the IMT Des Moines marathon, and change my entry to the half marathon. There are two reasons why. First, even though I could make the 26.2, I feel that I didn’t get enough long runs in to make a decent run of it. 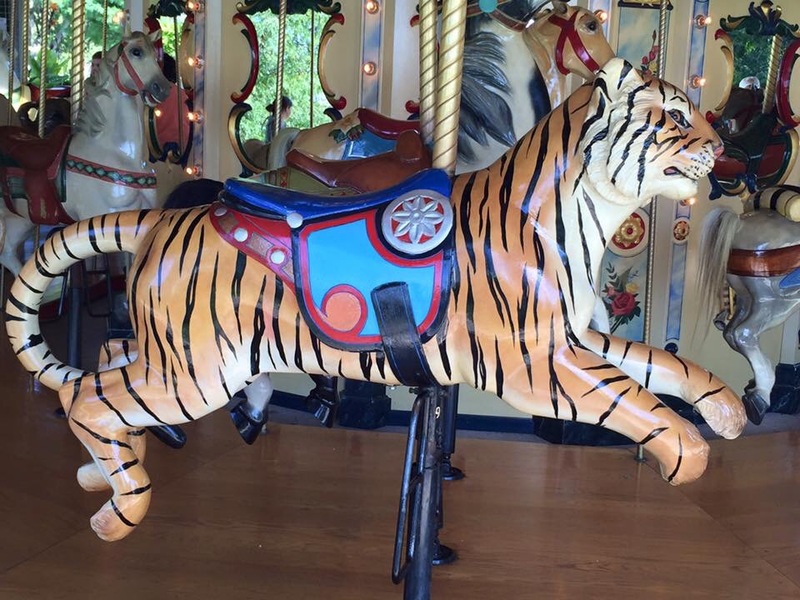 I’d rather play it safe than to risk injury. The second reason? My wife has decided to run her first half marathon! This from a person who said she’d never run THAT far! She has amazed me. In one year she has completed her first 5k, 10k, 10 mile run, sprint triathlon, olympic distance triathlon (open water), and now she’s going to run her first half marathon! So very proud of her. We will also increase our running distances, so it becomes easier when we do our brick workouts. As the temps in Iowa fall with the leaves on the trees, our open water swim time is growing short. Soon we will be forced back to the shelter of the indoor pools at the YMCA, but that will make it easier for us to do our swim/bike or swim/run bricks. It will also make being able to do a test triathlon easier, since we won’t be lugging all our equipment to the park. I’ll end this post with some photos we took while on a bike ride the other day. Be sure to look around as you exercise outside. 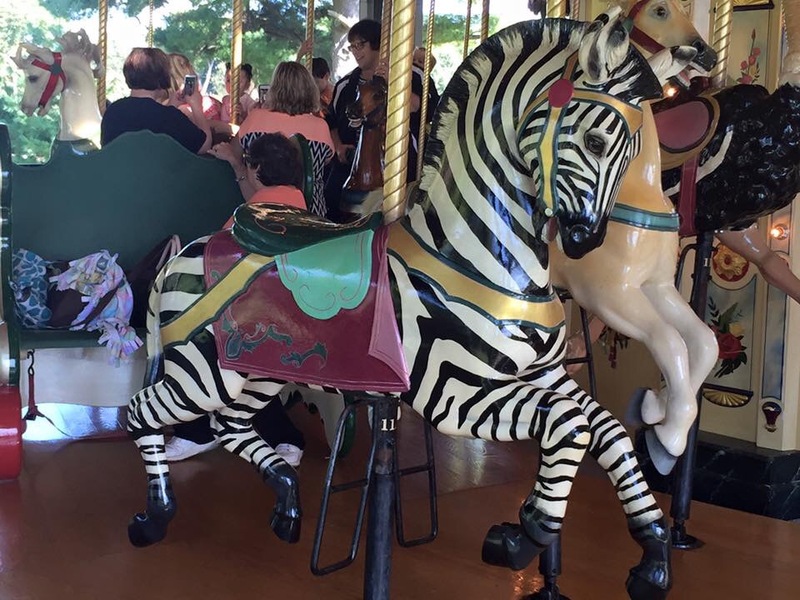 You never know what you’ll find, like a carousel! This one is at Union Park in Des Moines. My wife and I arrived to set up our transition area at 5:20 am. There were already lots of people there setting up. The biggest concern: water temperature. The announcement came over the speakers that the water was 81°. Not wetsuit legal if you want to win an award. Julie and I stopped setting up for a moment to discuss this. We can swim a mile without the wetsuit, but that’s when it’s just us, not a huge crowd of people all swimming for the same markers. Did we really think we would hit the podium on our first try? Did we need the extra worry and anxiety? This was our first Olympic distance triathlon, so we were nervous enough. We made our decision: pull out of the age group division and enter the wetsuit division. We would still get our times and finishers medals, and we were here to just finish, after all. After prepping our areas and chatting with friends, we headed to the other side of the lake for the swim start. Before we knew it, the first horn sounded and the pros were off. Then the age groups went, 8 at a time, then us. I was happy to see we weren’t the only ones in the wetsuit division! I ran in the water and glided in as soon as I could. It helped me get into my rhythm and I reached the first buoy marker quickly. Now a right turn and down the length of the lake. There were yellow turn markers and orange position markers. I swan close to the orange markers until I could sight the yellow turn marker. 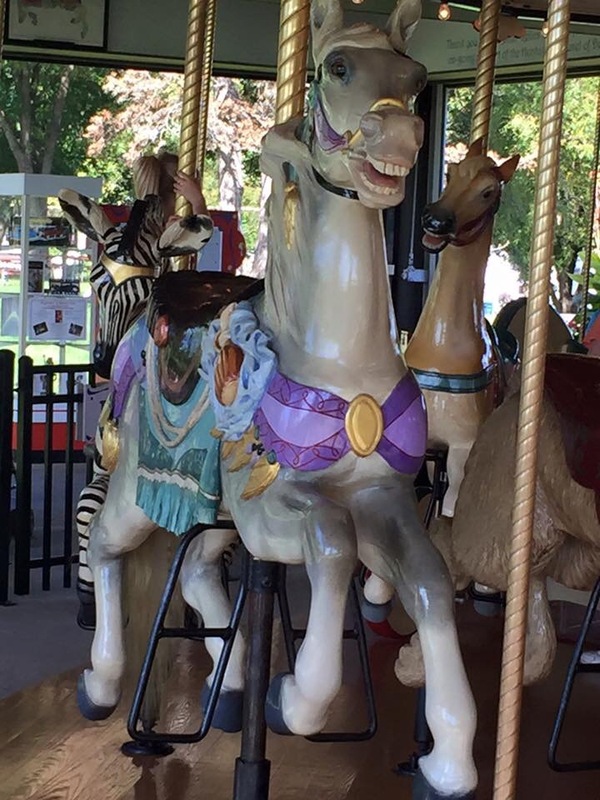 I sighted, and noticed everyone angling to the right. I spotted what they saw: yellow. I started that way then remembered when we walked the lake the day before that the buoy wasn’t that far to the edge of the lake. I stopped and treaded water for a moment and saw what it was: a volunteer on a jet ski wearing a bright yellow shirt! I re- sighted and finally spotted the marker. When I reached the marker, the crowd realized their mistake and was now all around me. I made turn two and three without issues. One green marker to find and I’d be done! Suddenly someone kept bumping me to the point where I slowed to let them pass. He did, then he stops in front of me to sight! So I passed him again, and then he’s hitting my leg constantly. Finally he actually grabbed my leg, and I’m surprised he didn’t smack my family jewels. I shook hard and slapped the water with my foot really hard. He let go, and I could almost tell by the way he let go that he was saying “Oops! Sorry!” At that point I was glad I had the wetsuit because without it I would have panicked. Something to work on I guess. T1 was 5:22. A little slow, but with taking off the wetsuit I’ll take it. T2 – the kiss of death. I knew better, and I even tell those I’m mentoring in running to eat little bits at a time and not too much, yet I was so hungry I slammed down as many Honey Stinger chews as I could and washed it down with half a bottle of water before I took off to run. In 90°+ heat with a heat index of 105°. Run – the first two miles were pretty good, with the exception of the inner part of my quads burning from the bike. This eventually went away, but a new problem arose: I had a knot in my stomach from pigging out in transition. The heat was unbearable and every time the wind would blow (which wasn’t often) I’d get chills. I figured I was dehydrated, but didn’t want to put anything else in my stomach because it hurt so bad. I finally tried to walk a bit to settle down and not throw up, then used a walk run method to make it to mile 4. My friend and training partner Kara caught up with me, and together we would finish the last 2.2 miles together. It seemed appropriate, since we crossed the finish at her first marathon together, hand in hand. Julie calls Kara my running wife, and it fits. The goal was to finish, and I did. I was hoping for a time of 3:45:00 which I would think would be ok for a first Olympic Tri. Ideally if everything was perfect, I thought 3:30:00 would be amazing! Final time: 3:31:51. Julie crossed the line at 3:56:28. I was at the finish line to present her with her medal and to give her a big hug. Lessons learned: train harder without the wetsuit. Maybe train to swim 2+miles without it, so one mile won’t be bad at all. Also work on far distance sighting. Transition: get in, get out, move on. This is no time for a breather, you have a race to run. And no pigging out and slamming tons of water. A little fuel at a time, and the same for water. Train on more hills and more bike/run bricks. Although my legs felt pretty good after the ride, not the spaghetti legs I have had in the past at sprints. So with the lessons learned, you should have guessed that I’m already planning on training for the next one. I loved it! Great event and a great group of people to be around! That’s it! Let me know what you think, or if you have any tips or suggestions. Thank you! This morning, the alarm clock began it’s duty at 5:00 am. The churchbell chime on my phone continued until I sat up to relieve it from it’s duty. I sat in the darkness and enjoyed the stillness around me. Soon my wife and I would dance around each other as we got tri-bags, swim bags, bikes, shoes, water bottles, bike carriers, wetsuits, and food loaded into the truck and headed for the lake. It’s amazing that we don’t slam into one another or at least step on each others toes, but we’ve dancced this same dance a few times and seem to know the steps pretty well. No one gets bumped, and after the last item is loaded, we sit down for breakfast. The smell of waffles fills the kithcen as we get some water to drink. Soon the waffles are covered in peanut better and quickly devoured. We are both looking at the weather forcast, wondering what it’s going to feel like at 7:00 am when we hit the water. Loading the truck gave us our first clue that summer was slowly losing it’s grip on Iowa, and fall was quickly mounting an early attack. The temperature at 5 am was 55 degrees, pretty chilly for August weather. So we ate, said goodbye to our sleeepy pups, and headed out into the silent, cool, dark morning to start our day. The sun barely started to peak at us when we got to the waters edge. The coolness in the air, along with the steady wind, made us wnoder if getting out of bed was the right thing to do. We could start later, when it’s warmer, but that’s not the way we do it. If we delay, we will find an excuse; a long forgetten task that needs to be completed, or some other situation that suddenly gets pushed to the forefront in order to push this workout to the back of the line. No, we were here, and this workout was going to get completed. We donned our wetsuits and looked out over the beach and the moving dark water. The wind was making the water choppy, but not so bad as to cancel the swim. We braced ourselves and waded in, knowing that the water had to be a chilly as the air stirring it. It wasn’t. In fact, while you needed to wear a wetsuit, the water was a lot warmer than we thought it would be. We waded in, discussed our plans such as how many laps were we doing, what to do if we had trouble, etc. We then wished each other luck and started off. Now we were on our own, working until we completed this portion of the goal, or were forced to abandon the quest. The darkness of the water removed any extra light it was displaying when looking at it from the beach. From eye level in the water the whole lake got a lot darker, and the buoy lines were even harder to see. But as I rounded the first turn, the sun decided that peaking was no longer enough, and raised it’s head for a better look. Even a couple of curious fish jumped out of the water to grab a better view as we swam by. Lap after lap the sky got brighter and brighter, until I was done and heading for the shore. 1,493 yards later, and the air felt colder than ever. Now, being wet and cold, I considered returning to the lake and avoid the air and its unpleasant bite, but I came to complete my workout not sit in the lake and hide from Mother Nature. So we headed back to the truck to transition into our next phase of our Sunday challenge: the bike. We removed the wetsuits, dried off the best we could, slipped on socks and bike shoes, strapped on helmets, grabbed some quick food for the road (and before the start of the ride), and headed out. The trail was beautiful, with leaves hanging onto their branches for dear life, yet another reminder that fall was near. The sun, now obscured by the trees, rose even higher for a look, it’s beams shooting through every crack in the forest. We continued to ride, through water and mud from last nights rain, over old wooden bridges, under highways, alongside golf courses, the bike lane kept going, urging us on. We got to the halfway point and marveled how beautiful the trail was, and then attacked it again as we headed back. For some reason, Mother Nature must have been offended by our lack of appreciation for the beauty of the trail, because she started releasing her winds directly at us almost all the way back It was a battle of wills; on one side: nature, trying it’s best to keep us from returning to our starting point. On the other side; us. Desperate to succeed, to push through, to win the battle. In the end, we won. We returned safely to our starting point, locked up the bikes, changed shoes, and headed out for our run. 25 miles on the bile was over, the only thing left was a 6.2 mile run. That would show us if we won the battle, but lost the war. As we have been training, I’ve noticed that the time it takes my legs to adjust from bike to run has decreased. Today it seemed almost non-existent, which surprised and delighted me. I was able to move along, sore but easily, and enjoy some of the beauty of the trail we were running on. A lone dragonfly greeted us aroud one turn, and a pair of deer watched us from afar on another turn. The sun, was now fully extended in the sky, and even through the wind you could feel the warmth upon your face and shoulders. You could now see hidden parts of the lake; little alcoves and corners that were covered in the darkness. We continued on, only stopping for a restroom break, before turning the last corner and heading for our makeshift finish line; our vehicle. We completed 32.7 miles this morning, between swimming, biking, and running. We got to spend time outdoors in the splendor of nature. We felt natures’ warmth, it’s chill, it’s rath, and it’s blessing. We saw it’s beauty in many ways. We accomplished a goal, but enjoyed a show as well. Here’s to many more beautiful workouts in the splendor of nature. How Do You Find the Time?? This question was asked of me the other day, “How do you find the time?” They were referring to my exercise and training schedule. It’s a valid question, and one that I answered quickly. I replied “If it’s important to you, you’ll find the time to do it.” That is true, as we find time to relax, inndulge in hobbies, go out with friends and family, if exercise is important to you, you will find the time. The issue I am running into is finding enough time to do all the training I want. I am not a paid athlete, so I have to have a job to pay bills, pay for insurance, and buy training equipment. Training with my wife is a blessing, as she understands the need for working out, and we get to spend time together. But with a house to maintain (or try to), three dogs, friends and family, you start feeling the pressure of trying to squeeze in everything, and you have to start getting creative in order to keep up the pace that you want. I am currently training for my first Olympic distance triathlon and my third marathon. 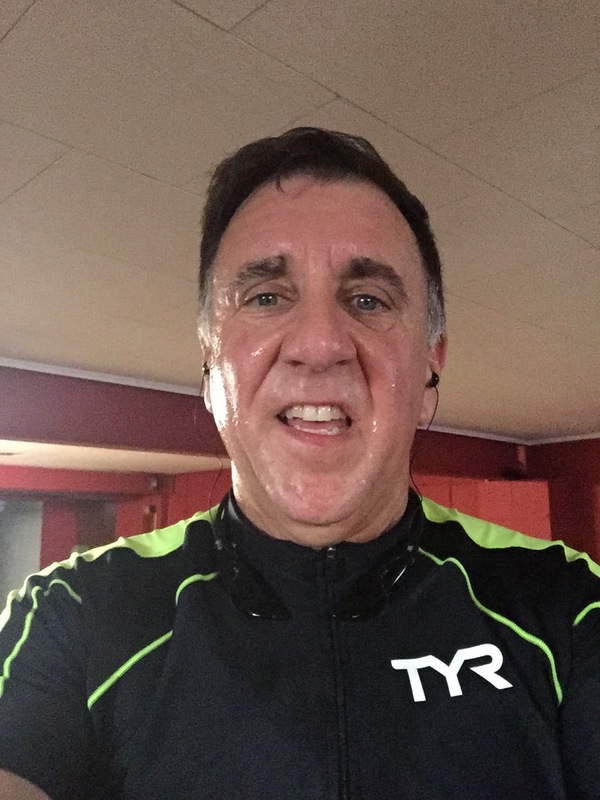 I am heading into the long run portions of marathon training, and just last weekend I needed to complete a long run of 14 miles. I mentor runners on Saturday mornings (which I love), and on Sunday we do a swim/bike/run brick. So how do I fit a long run in with whats going on already? 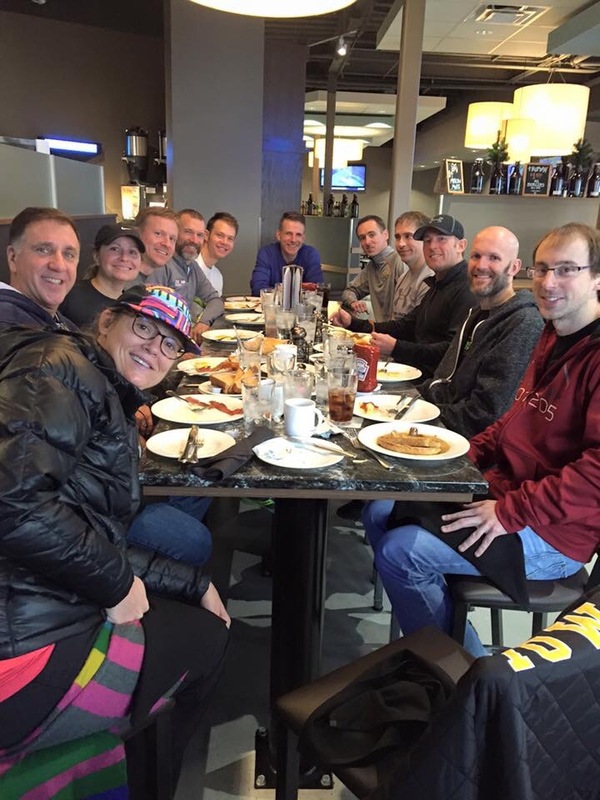 It was pretty simple: get up early Saturday morning, run 8 miles to Fleet Feet Sports where the mentoring group meets up, stay loose and refuel and run 6 miles with the group! As the miles increase however, that is goinng to get harder and harder to do. But for right now it’s working. We are also training on the swim portion of the triathlon without wetsuits from time to time, just in case the race is not wetsuit legal (due to the water temperature, according to USAT rules). We are working on staying calm and just swimming, working on form and distance. In fact, that is today’s workout since I have a day off from work. I am taking my bike in for a tune up, and then hitting the lake. When my wife gets off work, we may swim a second time. It amazes me and impresses me when I think of all those people that have completed a 70.3 Ironman or a 140.6 Ironman, thinking about how they found the time for all that training, and still tried to lead normal lives. Hours in the pool, on the bike, running the streets, and still maintain a job and a family. Where do they find the time?? They just do. If it’s important to you, you’ll find the time. It’s that time now. Time to hit the lake.